a Dreamer of BIG HUGE dreams! I face reality and stand up for what I believe in. I am not sure what all my brain, heart and soul have been going through lately but I do know that God has been hard at work...for months now... the clouds are clearing though and everything that was murky and dark are now looking bright and clear! But, seriously. If I feel this way at 31, I definitely don't want to feel lost at 41. I just mean, well adjusted and settled....stable and established. Trust me, I know how Blessed I am. I have TWO amazing children. I have an awesome Husband. I have a great family and a good job. What else do you want Connie? You can't have the world...I know this. I simply want life to be LIFE but better... Ha. No pues no quieres nada! but how much is it ? Cause I am more than sure that I have paid it in full and then some! Marcela! 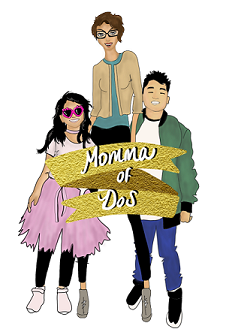 It's a complicated life to be a workin'Momma....I admire you for being a FT Momma, Employee and Blogger! I don't know how you do it all..I bet your Hubby is happy and your home is clean... some women just have it all together.. we manage and move forward..NO MATTER WHAT IT TAKES. I pray that you are well... Huge Hug!! !